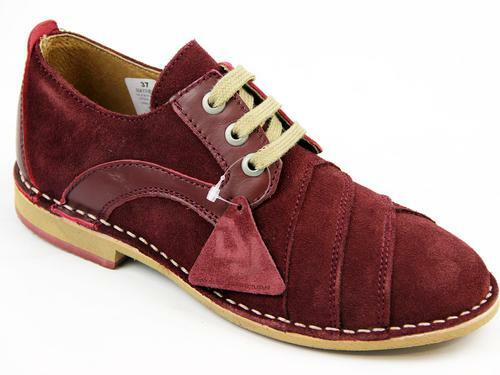 Laceys 'Parthina' Women's waxy leather brogues. Cute 1960s Mod styling with winklepicker pointed toe and stunning Retro punched brogue detail. The slimline silhouette creates an elegant and sophisticated look which means that these 'Parthina' Laceys Winklepicker brogues are perfect for any time of day! 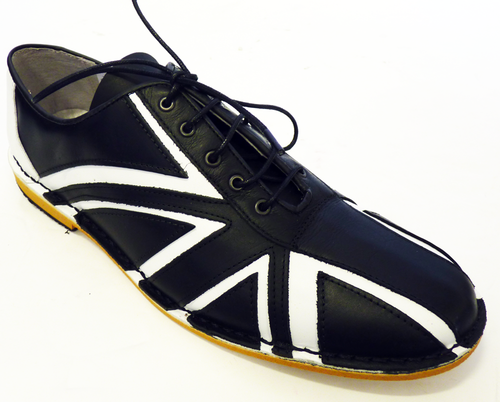 Laceys 'Parthina' Womens Sixties Mod winklepicker brogues in smooth waxy black leather. Retro shortwing style with punched brogue detailing to front, sides and heel. Derby lace fastening, classic block heel. The Winklepicker toe ensures a slimline aesthetic, so these 'Parthina' shoes perfectly compliment both dresses and trousers. 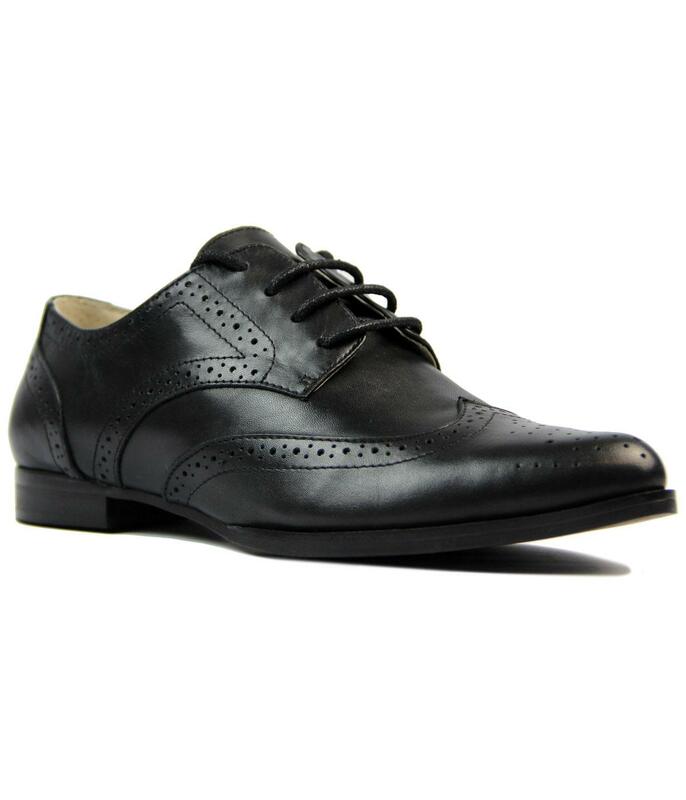 Key Points: Laceys 'Parthina' Women's winklepicker brogues in waxy leather.